It is now four years since Industrial Cadets, a quality standard for workplace experiences, was rolled out nationally. Inspired by an idea from the Prince of Wales, the accreditation has grown and developed considerably in that time. So, what is Industrial Cadets? Prince Charles launched the national roll-out of Industrial Cadets in January 2013. Since then, more than 10,000 young people have graduated as Industrial Cadets through this workplace experience accreditation, of which 45 per cent were female. More than 200,000 learner training hours have been accredited and Industrial Cadets has worked with more than 800 schools, has engaged with more than 250 employers, and has trained more than 700 Industrial Cadet mentors. Of all young people going through these accredited workplace experiences, 95 per cent feel that their personal skills have improved and, crucially, 70 per cent of the cadets feel they are more likely to enter the industry in which they have had the Industrial Cadet experience. Give them an insight into both the employer and the industry within which they are placed. Help them to develop relevant workplace skills beneficial for their CVs. Help them to gain awareness of the type of jobs that are available in local industry and the routes into careers within those specialisms. Managed by education charity, EDT (the Engineering Development Trust), Industrial Cadets is developing rapidly to give employers, schools and young people an integrated set of benefits which go beyond the immediate workplace experiences. Industrial Cadets provides a good basis on which schools can build relationships with both local and national employers, by providing clear guidelines on what a work experience should include, while at the same time being flexible enough to meet requirements that the employer or school may have to satisfy their priorities and timetables. Typically a large employer will initially experiment with the Industrial Cadet framework for a limited number of schools and young people but, as it understands the capabilities and flexibility of the accreditation, it will broaden the number of school links and the number of experiences it offers in different locations. The experience of AzkoNobel, a leading global paints and coatings company, is typical. AzkoNobel trialled individual programmes with schools in the Windsor and Slough area, culminating with a highly successful Industrial Cadets’ gold level programme with 13 students from Baylis Court School in Slough. As a result of their positive experience, AzkoNobel is planning to offer experiences at gold, silver and bronze level to be run at sites across the UK in 2017. At the other end of the scale, M-TEC Group, a Coventry-based design and engineering consultancy to the automotive and engineering sectors, has found that it has been able to take a stream of young people aged 15 to 18 individually on gold level accredited programmes which last seven days. Industrial Cadets is particularly important in allowing insights into jobs in local industry. For example, Jacobs is a major engineering employer in Cumbria and Chloe Pascoe from Egremont was delighted when she heard that she had qualified for the Jacobs Workplace Experience Programme at the company’s nuclear centre of excellence on Westlakes Science and Technology Park in West Cumbria. 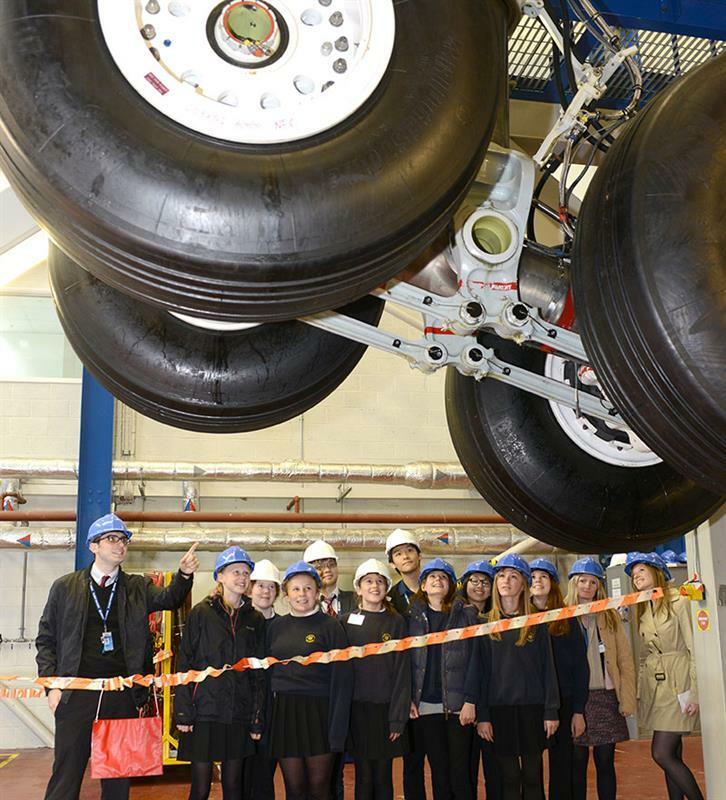 The Jacobs Work Experience Programme takes young people from a range of local schools. It has been accredited at Industrial Cadets silver level and enables students to handle activities across disciplines such as mechanical, civil and process engineering and compile a file of evidence over the week which culminates in the presentation of project work to an audience. Chloe explained: “During the week we had days dedicated to each discipline, therefore having more of an insight into what each department had to offer, following up with a group activity and individual work. At the end of the week we presented our findings/what we had learnt in the week to a group of engineers at Jacobs, enabling me to develop my presentation skills in front of an audience. In the four years since the national roll-out, Industrial Cadets has also increased the depth of its offering, adding value to the Industrial Cadets’ experience. The Industrial Cadets’ Network is an important initiative which allows cadets to share experiences, access first class career information and to be made aware of job opportunities, not only with the employer with which they had their experience but also with all employers involved across the UK, who value the Industrial Cadets experience in their recruiting. Industrial Cadets is also providing mentoring training to the employees of providers of workplace experiences under the accreditation, ensuring that they have the skills to communicate effectively with the young people they are supporting. Continuing engagement by Prince Charles has helped raise the profile of Industrial Cadets and in 2016 he appointed six senior business leaders as Ambassadors for Industrial Cadets to encourage the development of the accreditation in UK Industry. The benefits of Industrial Cadets are demonstrated by the overall evaluation of the initiative, showing that 95 per cent of young people completing a workplace experience feel that their personal skills have improved and 75 per cent have been sufficiently inspired by the experience that they are more likely to seek a career in the industry concerned. Penny Tysoe is the Industrial Cadets project director with the Engineering Development Trust.